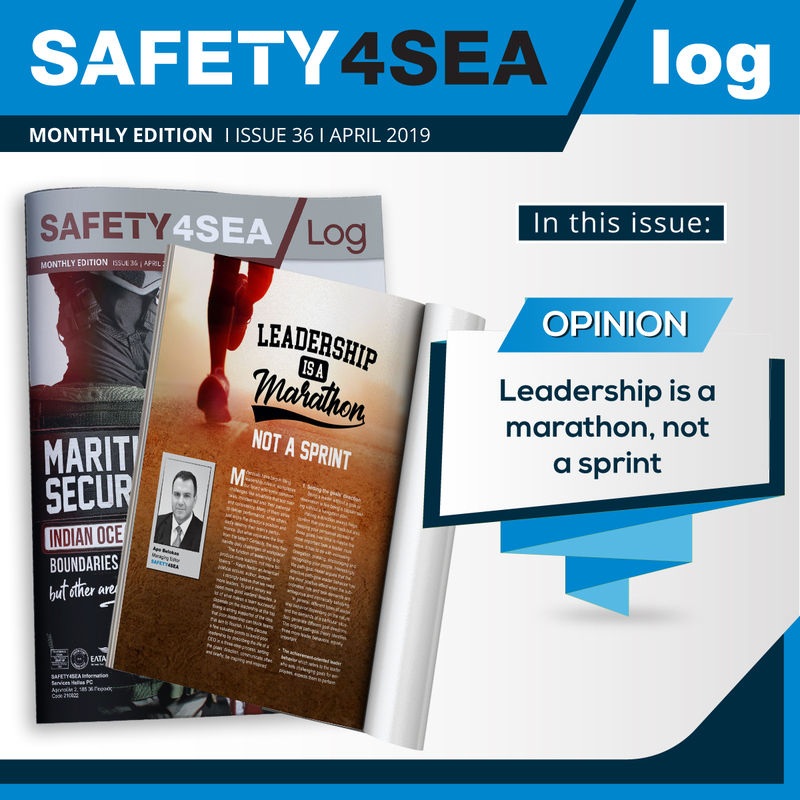 Shipowners want practical applications to implement the smart opportunities of today that build foundational capabilities for autonomy in future, writes Derek Novak, Vice President, Technology, ABS. There is little doubt that we are in the age of smart shipping: the technology and data infrastructure that can enable real-time health monitoring and performance optimization are already here. Real-time monitoring techniques, data analytics applications and use of streaming data for troubleshooting and operation assistance are changing vessel operations and management. 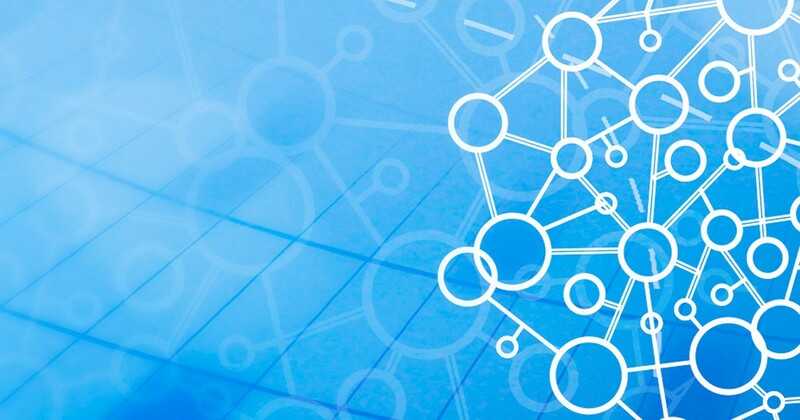 Machine learning algorithms, used to extract data correlations from processes onboard to detect anomalies and predict potential problems, are being deployed and developed on many fronts. To date, the industry has been embracing smart technologies by plugging in new systems and software and seeing how they work in a pilot approach. For asset owners, the need is to derive conclusions from such pilots and piecemeal developments to start answering the larger questions as to what implementation of smart functionality hopes to achieve and how to derive value from its implementation. Until now, mostly general guidance has been available in loose framework form. There is a need to consider a comprehensive goal-based implementation framework coupled with practical, flexible and prescriptive requirements for smart function implementation in multiple applications with various sophistication. Smart shipping is enabled by defining specific goals related to vessel operations aimed at improved decision making by all stakeholders, including both crew and shore-based personnel, to better manage vessel operations in the fulfilment of the vessel’s mission. This supports owners and vendors in defining and implementing smart functions through a goal-based approach and from a risk perspective. A client can therefore set a goal and then assess a particular smart function implementation towards achievement of that goal. 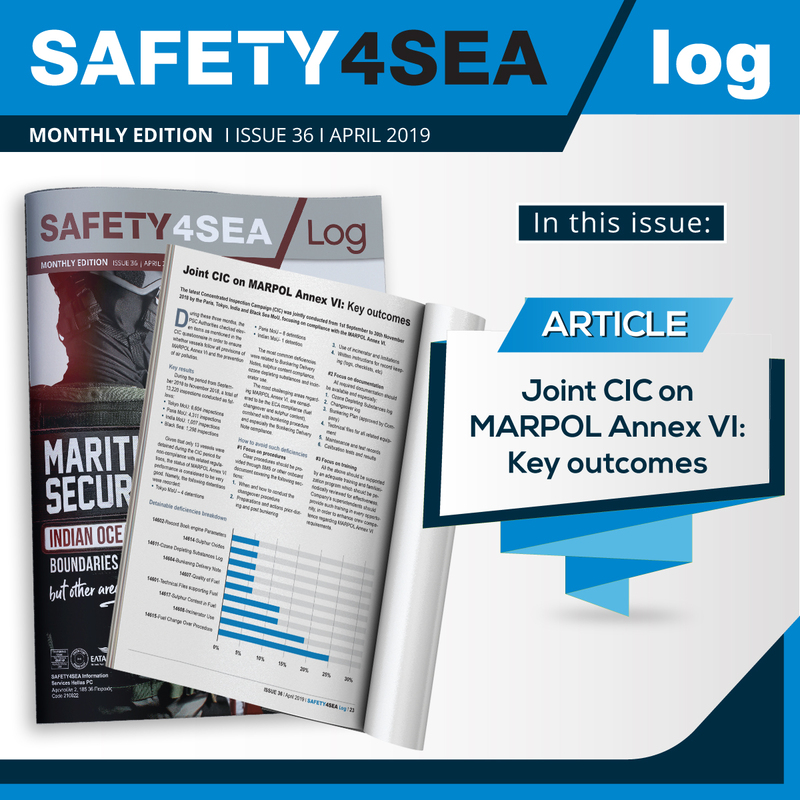 A structured and practical risk evaluation approach relies on careful examination of main risk factors such as the algorithms and methodologies employed, the level of decision-making and autonomy and the sophistication of the integration with the onboard systems. A set of appropriate risk-based prescriptive requirements can then be applied coupled with the added robustness of targeted risk assessment. The above approach recognises the need for flexibility; prescriptive requirements alone will not nurture and encourage the emergence of a smarter shipping industry; this space is moving too fast for that. It stands to reason that gathering the right and good quality data is key to smart operations. A robust data infrastructure is the cornerstone to achieve the defined goals of smart function implementation. Built on top of the data infrastructure, smart functions enable health and performance awareness, augment and optimize vessel operations and lead to informed decisions in support of a more sustainable shipping future one that is safer, greener and more economical. 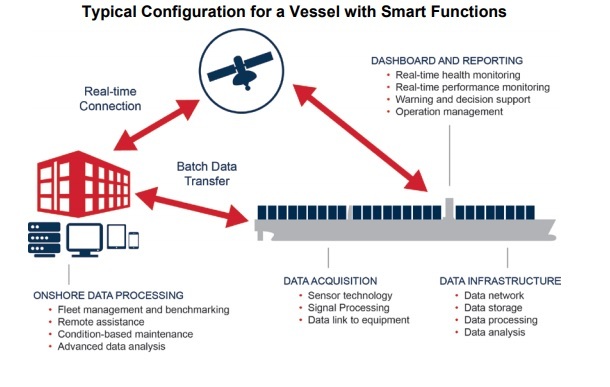 For a smart function to achieve its benefits, the vessel’s data infrastructure must be able to provide a robust level of data quality and data integrity. 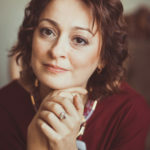 Hence, there is a similar need for software quality control and verification and cyber security, including a program for management of change within the data gathering and processing environment. 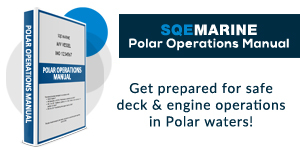 These aspects can be considered foundational to a smart vessel. 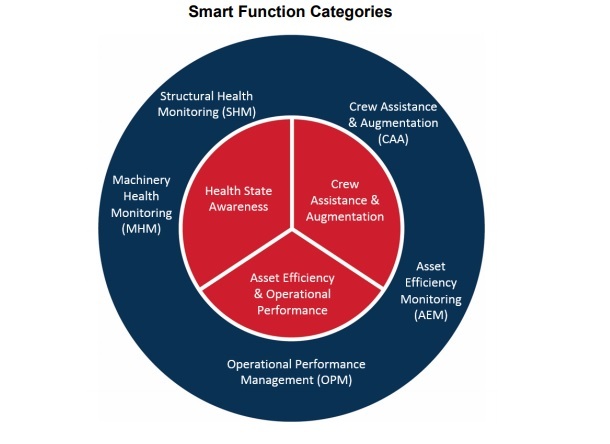 The ability of smart functions to perform health assessment and anomaly detection for critical equipment or vessel systems can also support class programs by developing complete and properly targeted risk profiles and evolves class activities towards an informed, targeted and condition-based class model. Recognising smart functionality as a key factor for improving operational efficiency and driving sustainability, ABS has recently issued the first in a series of publications; Guidance Notes on Smart Function Implementation to assist the application of smart technology in shipping. The ABS Guidance Notes provide a practical and flexible approach to smart shipping in the present day context of the technology. The Guidance is not intended to dictate to clients the route they should take towards achieving their goals, but form a basis they can use to establish those goals and work logically towards functions and implementation that will help achieve them. The ABS Guidance Notes on SMART Function Implementation provide a flexible approach to smart shipping in the present day context of the technology but stop short of considering autonomous systems. 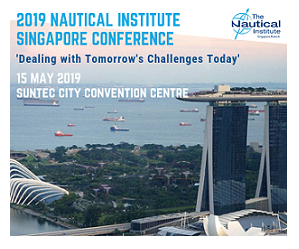 However, they lay the foundations for what would be necessary to achieve a more autonomous future for the maritime industry. Ultimately, a smart ship will have the ability to sense, analyse and provide health and performance awareness conclusions as decision support to the operator. It’s important to note though, that these smart functions at present are targeted at augmentation of human functions; they are an enabling, not a disruptive technology. Derek Novak is Vice President of Technology at ABS. He is responsible for the technology team, research and development efforts, Advisory Services, and Global Ship Systems. 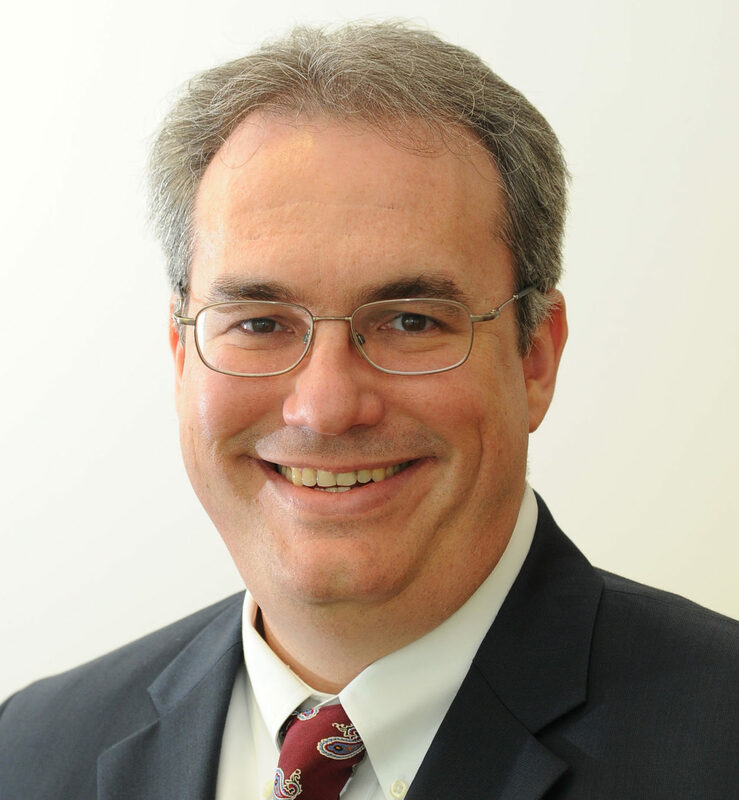 Novak has held several senior management roles at ABS, including President and Chief Operating Officer – Pacific Division, Vice President of Operations – Pacific Division, Vice President of Operations, Vice President of Engineering, and Manager – Naval Engineering. He received a Bachelor of Science degree in ocean engineering from Florida Institute of Technology.